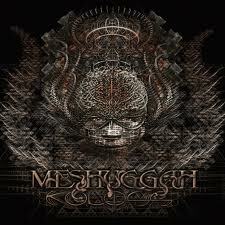 My relationship with Meshuggah is on again, off again. I loved Chaosphere, but couldn't even make it through obZen. Other albums were hit and miss. So with Koloss we can declare the relationship on again. I'm no expert but I understand Koloss is a return to a more groove oriented approach for the band. Perhaps it's that underlying fluidity complementing the signature Meshuggah "djent" time signature mindfuckery that won me over this time. Not to mention the absolutely phenomenal drumming of Tomas Haake and the intensely unique vocalist, Jens Kidman. I can hear his facial expressions. I went to bed listening to Koloss a few times after some "herbal" medicine and I'm really surprised I didn't wake up completely insane.